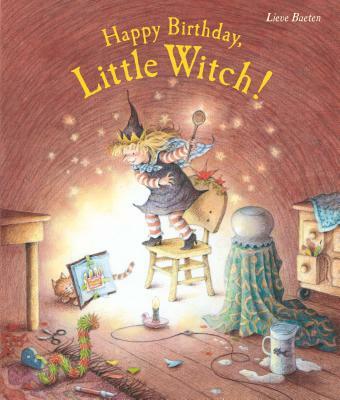 It’s Lizzy the Little Witch’s birthday, but Cat has gone missing. She’s not at the Witch Village Market, and she’s not in the Witch This-‘n’-That Shop, and she’s not in the Witch Pet Store. Can Lizzy find her in time for birthday cake? You can search for Cat with Lizzy. Just carefully punch open the doors to the Village Market, the Witch This-‘n’-That Shop, the Witch Pet Store, and finally Lizzy’s own house and take a peek inside.